Kidnap of Chief (Dr) Anugbom Onuoha. 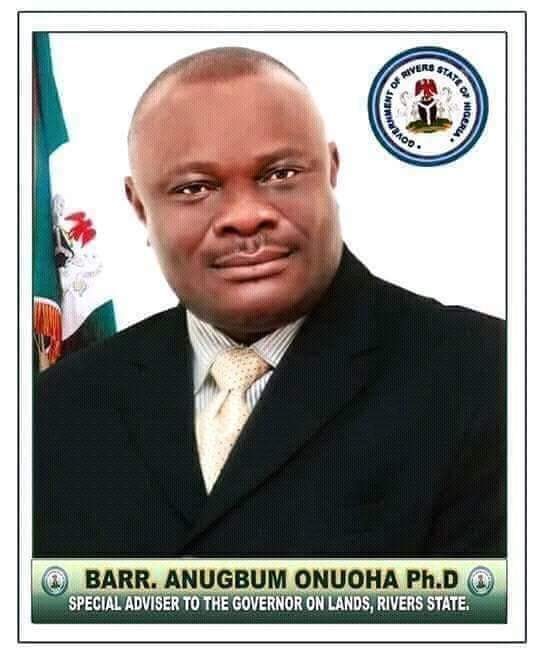 On 18/1/19 at about 2030Hrs unknown gunmen in military uniforms stormed a certain Hotel at Ada George Rd PH and kidnapped the Special Adviser to the Governor on Lands & Survey. This is unfortunate, and as a Command, we are touched by this development and will go all out to ensure his speedy and timely release. The CP has given a marching order to all the Tactical Units, including the IGP Monitoring Unit to work round the clock and ensure that the victim is released in record time. Contacts have been made with Sister Security Agencies and other security stakeholders in this direction. The Command wishes to appeal to the members of the public, to avail us with useful information that can lead to his unconditional release. The public is hereby assured that there is no cause for alarm, as the already existing peace in the State will be sustained.